Skill function hasbeen changed greatly after maintenance today, now we will introduce you skilltree, this guide is very useful for you, hope you guys like it. 1)Skills will be divided into 5 skill trees, you canclick the different icon on the top left corner to check, from left to right: Physical, Spiritual, Stratagem,Support and Stat. 2)Skills are divided into 5 tiers, T1-T5, The higher tier, the stronger the effect of skills. Ⅰ,Ⅱ,Ⅲ,Ⅳ,Ⅴ in the picture arethe corresponding Tiers of skills. 1)Dark icon: You haven’t the Gairo which thisskill needs, or you must dismantle the previous skill in a same line, then thisskill will be changed to lock, or its icon is dark. 2)Lock: You have the Gairo which the skillneeds, but you do not dismantle it. 3)Percent: The research percent of thisskill. 4)Question Mark: You haven’t the corresponding Gairo which this skill needs. 5)Light icon: This skill’s research iscompleted , for example, 3/3 appears on Assult skill means you can give 3Gairos to learn, if a Gairo has already learnt it, the number will changed to 2/3. 1)You can click the skill which you want to get to check the requirement, and Skillslinked to other skills can only be dismantled if one or more of the skillsabove it on the same line have been dismantled. For example, Chase, Disable and Track, the threeskills on the left side of picture are on the same line, the disassemblysequence is Chase-Disable-Track, you only need to dismantle it, needn’t tocomplete research. 2)Youcan get T1, T2 skills by dismantling any 3 star Gairo and spending a specific amount of Skill EXP to completeresearch. 3)You can get T3 skills by dismantling any 4 star Gairo andspending some 4 star Gairos to complete research. 4) Dismantling and researching rules ofskills for Tiers 4-5 will not change, you need to dismantle corresponding Gairosand use cards to complete research. 1)The rule is Damage> Stratagem>Support >Stats, for example Blocade skill which is the second skill at the bottom of the picture contains physical damage output and control, according to the rule, system divides it into physical. 2)Counterattack is belongs to Stratagem, such as Vigilance and so on. 3)Support contains Heal and other skills which increase/decrease percent damageand so on. 4)Stats only contains skills which increase specific attributes. P.S. 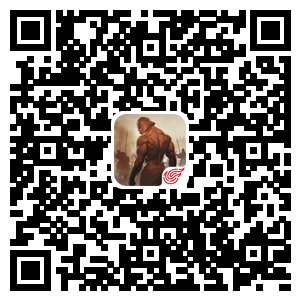 :This skill interface contains all physical skills of every season, in yourgame, if you are in X season, then you can check all skills includesSeason1-Season3, if you are in Season 1, you can’t check the skills of thehigher season.